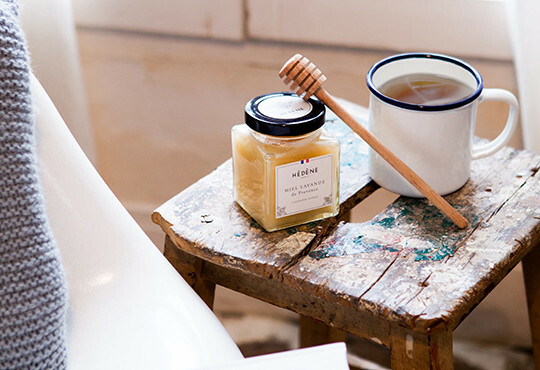 Face the cold weather thanks to our unique preparation composed of royal jelly. 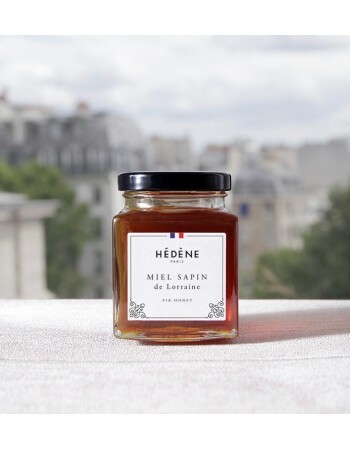 Hédène acacia honey & French royal jelly's preparation combines the quintessence of the hive’s products in a sweet nectar with greedy overtones. 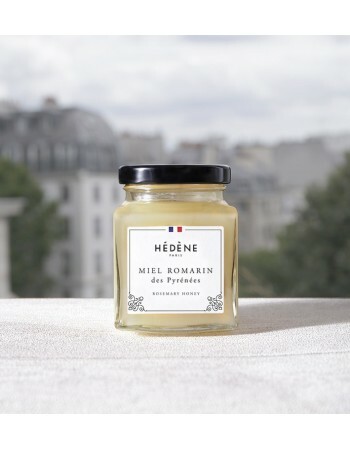 Hédène French honey and propolis preparation is the meeting between two treasures of the beehive: chestnut honey and propolis, for a pleasure therapy! 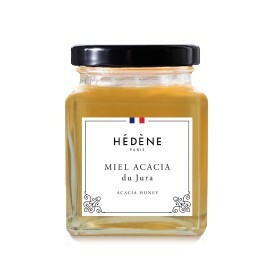 Raspberry and acacia honeys are perfect for a brunch with your family or friends. One is creamy and fruity, the other is liquid and refined. 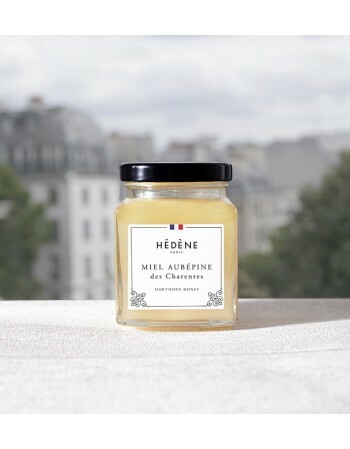 With its unique crystal clear color, Hédène acacia honey has very refined aromas and an unprecedented sweetness. This product will be appreciated by the whole family. 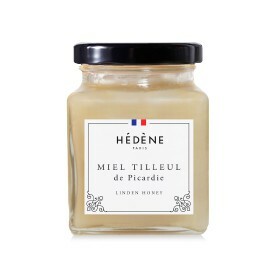 Hédène lavender honey is subtle and creamy. 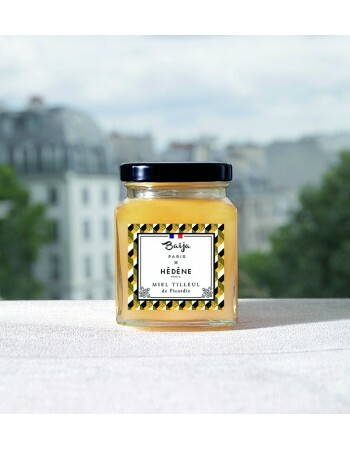 With its floral and fruity overtones it is a scented honey. To enjoy a healthy breakfast, choose Hédène fir honey on hot toasts, with orange juice, a hot drink or a yoghurt. 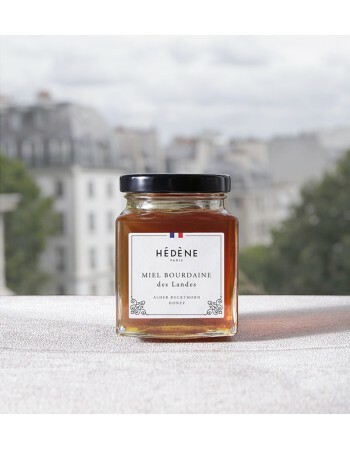 If you are more into creamy honey, Hédène rosemary honey will soon become your morning essential! 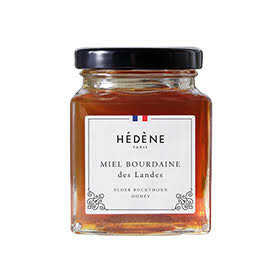 Hédène fir honey has a delicate and woody aroma, with subtle blackberry and maple syrup overtones. 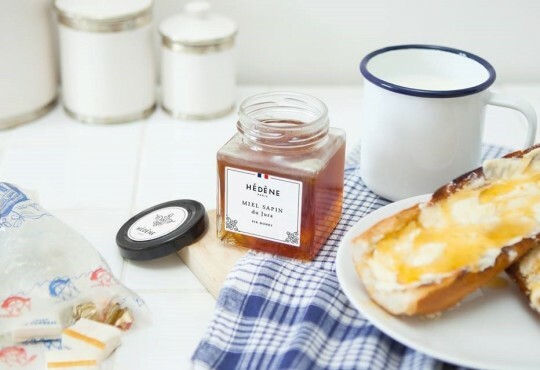 It is a unique honey that can be eaten at any time of the day. 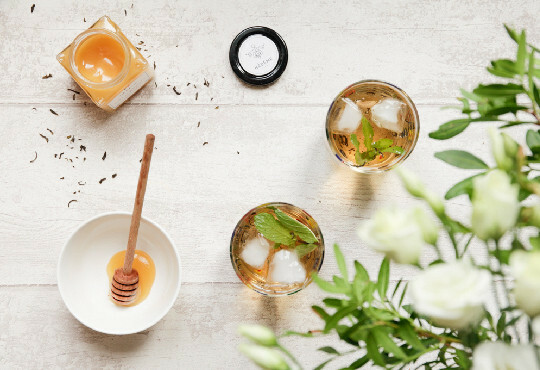 If you want to experience a delightful moment, choose chestnut honey, intense and woody or arbutus honey and its distincitve bitterness. 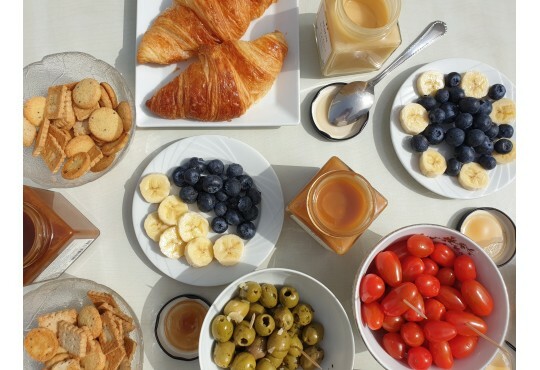 They can be tasted with hot drinks (coffee, tea, hot milk). Hédène chestnut honey is a full-bodied honey with a woody flavor. It is liquid and copper-dark with surprisingly powerful aromas. 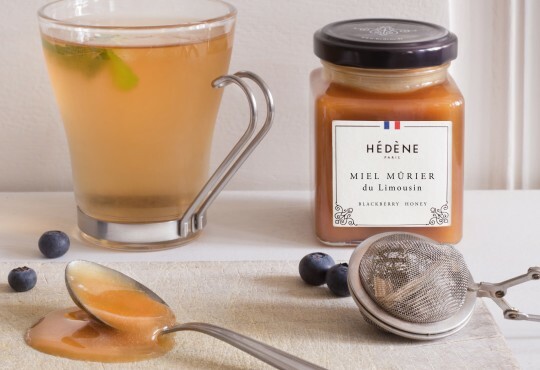 Heather and coriander honeys will enhance your day. Linden honey is ideal for a great tea time. 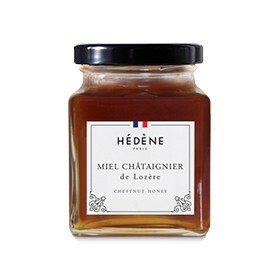 It is also possible to taste it with a creamier honey, like bramble which is delightful with tea. 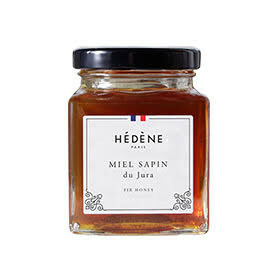 At Hédène and Baïja, we find the same enthusiasm and demand regarding excellence. Therefore, the two French brands naturally decided to gather for the best! 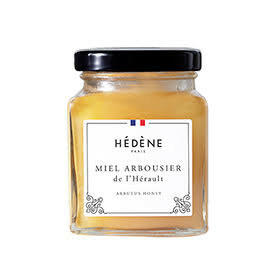 Alder buckthorn honey is liquid, with aromatic and fruity overtones. 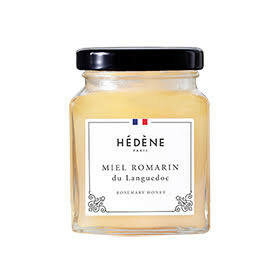 Lavender honey is creamy and floral, with subtle fruity overtones. 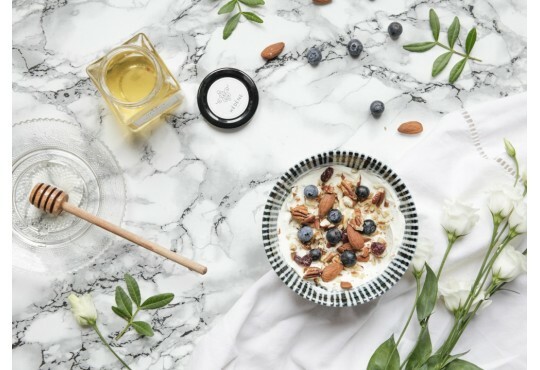 Both are perfect to enjoy a fine cocooning time.